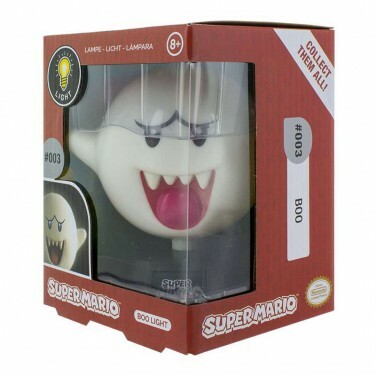 Illuminate things that go bump in the night with an iconic Boo ghost light straight out of Super Mario Bros! 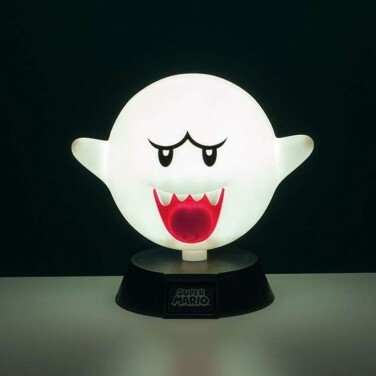 The iconic ghost villain from Super Mario Bros and Luigi's Haunted Mansion, Boo is lit with three bright white LEDs to shine with just enough light to reassure young gamers at night. 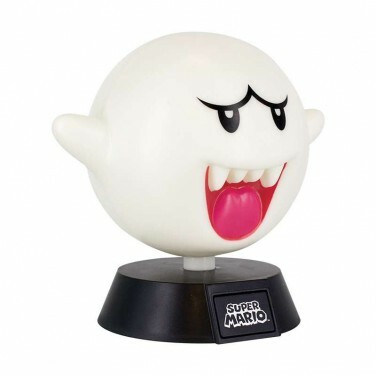 Striking a pose and ready to pounce Boo the ghost is has a simple on/off function and is battery operated so it can be placed anywhere, or even taken on the go to sleepovers or on holiday shining with a playful glow.